Chips FT245RL testing, checking for the program. It can set the output and input signals to the findings and submit. 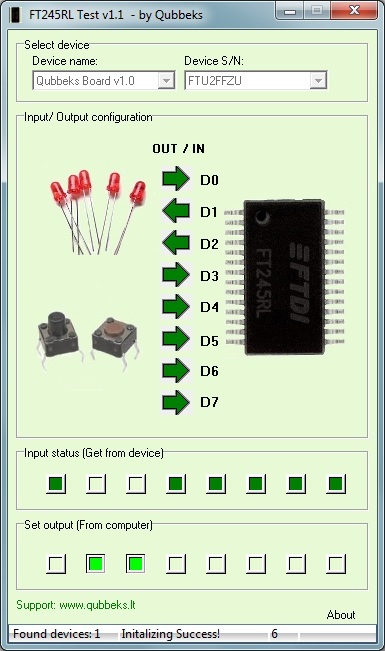 It is thus possible to enable or disable the 8 channels, for a 8-channel input. It all started a long time ago. Once, when I learned that the computer can be sent off signals that you can manage yourself, immediately began to take interest in the way they can do. It was somewhere in ~ 2002. After browsing the internet and found some examples of how the device can be connected to an LPT Port,.